Welcome to the Tzafnat Pane’ach Institute. This website has been created in order to provide information about Rabbi Yosef Rosen Zt”l (1858-1936) also known as the Rogatchover Gaon (literally, the "genius of Rogatchov") and his commentaries. The Tzafnat Pane’ach Institute is dedicated to the development, publication and increased study of the works of the Rogatchover. Many of the Rogatchover’s commentaries and responsa’s have been dispersed across the world or more tragically lost over the past seventy years. There are however, a great deal of commentaries which are available to us today but sadly are still sitting in an album of microphotos and remain unpublished. 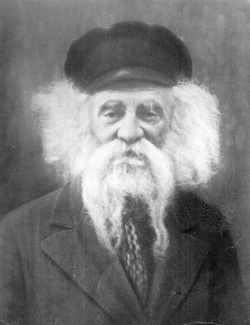 The Rogatchover Gaon was one of the most prominent Talmudic scholars of the early 20th century, known as a "Gaon" (genius) because of his photographic memory and ability to connect sources from the Talmud to seemingly unrelated situations. He was reputed to rarely quote any rabbinic authority after Maimonides, and avoided recent rabbinic works of the Achronim in favour of the Rishonim. He was truly a genius in a generation of giants and was greatly admired and consulted by some of the greatest Gedolim in his generation. This site will B”H be your gateway into the Rogatchover’s world. We hope you’ll learn and appreciate the greatness of the Torah he left behind and contribute to this project in order to continue his legacy and teachings.